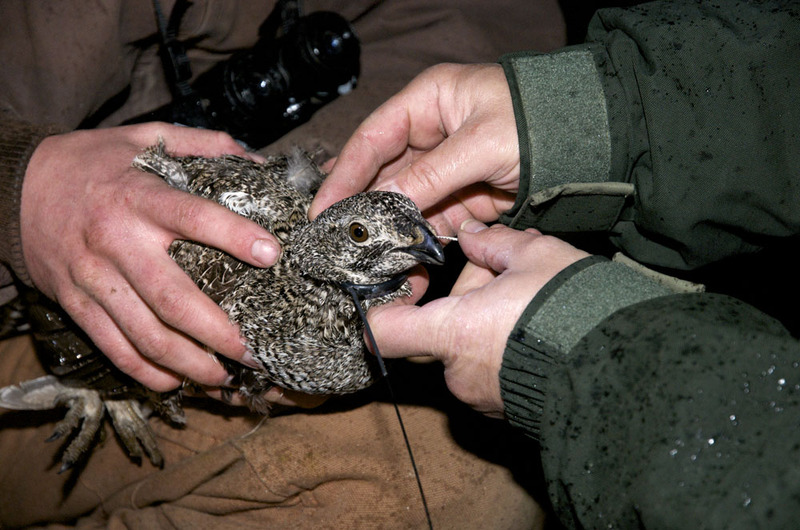 A Greater sage grouse hen is fitted with a telemetry collar and ready for release on the Pinedale Anticline, Wyoming. Trapping and collaring is done near an active lek at night and the birds can be viewed on the lek just a few hours later. Western Wildlife Consultants is studying the impacts of natural gas drilling on Greater sage grouse populations. Centrocercus urophasianus. Photo © copyright by Dave Showalter.